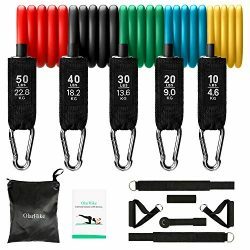 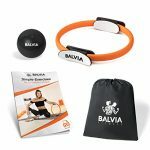 We created the perfect bundle to help you with your daily Pilates, Yoga, and core training exercises. 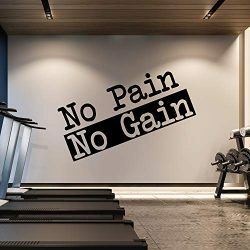 100% satisfaction guarantee: We stand behind our products if it breaks within the first 90 days we will replace it with a new one. 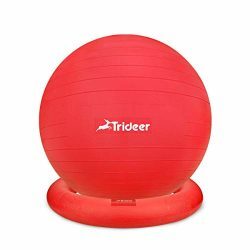 Premium quality professional grade materials: Compared to others our durable light weight Pilates ring is made from fiber glass material with non-slip padded grips providing the perfect resistance without breaking. 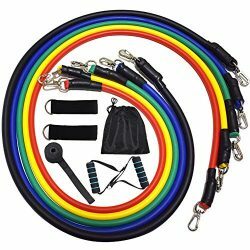 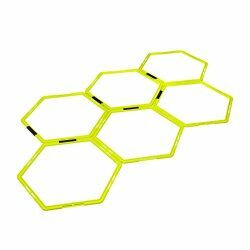 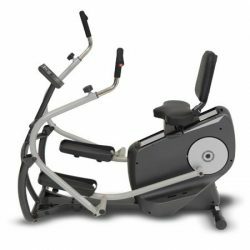 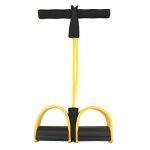 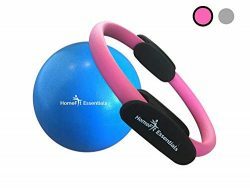 The HomeFit Essentials Pilate ring is the perfect fitness equipment for advanced or intermediate users to help build muscle and recover from injuries. 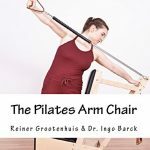 Pilates circle has been tested by numerous physical therapists and fitness instructors to make sure it is safe and ideal for the most intense exercises. 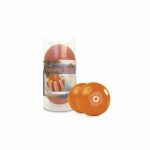 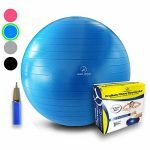 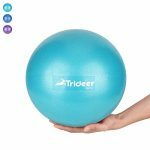 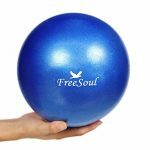 Mini Pilates Blue Exercise Ball: The HomeFit Essentials Mini Pilates Exercise Ball will help strengthen, tone, and improve your balance. 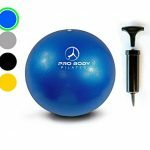 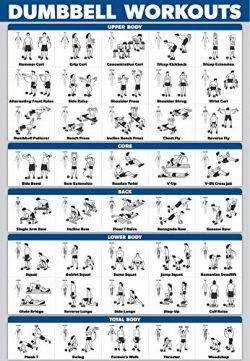 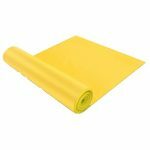 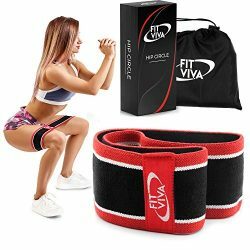 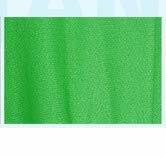 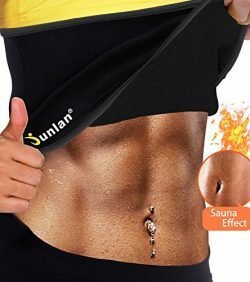 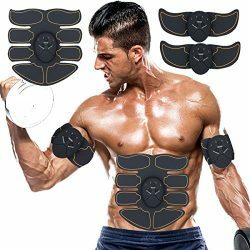 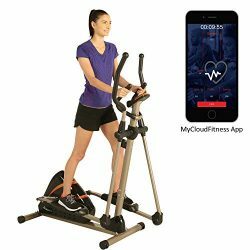 Easy to use and travel friendly, can be inflated in seconds to get your workout routine started. 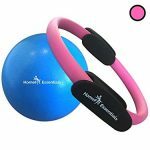 Why the HomeFit Essentials Small Bender Ball? 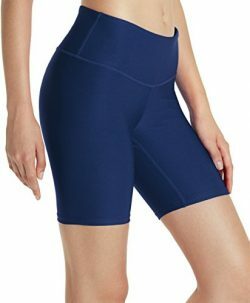 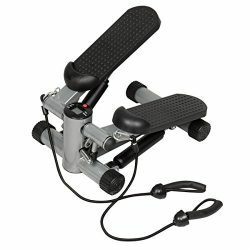 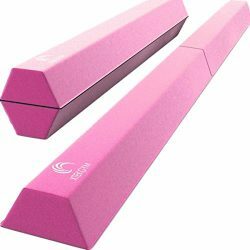 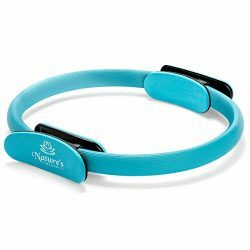 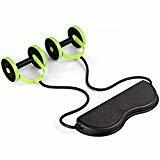 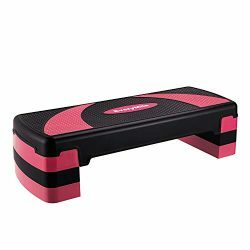 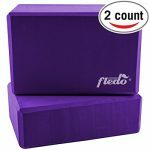 ✔ Perfect for Pilates, Yoga, Barre, and other strength and balancing exercises. 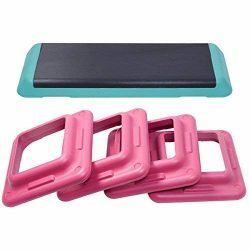 Premium grade materials: Compared to others our durable light weight Pilates ring is made from fiber glass material with non-slip padded grips providing the perfect resistance without breaking.